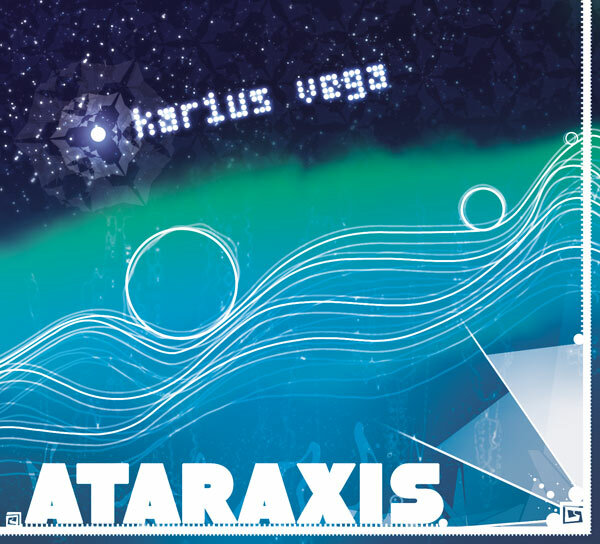 Karius Vega’s second release, Ataraxis, features tracks with driving progressions, stopping at nothing to continue to build. These progressions coupled with the energy and positive, constructive melodies, creates a unique style of clean, creative, IDM, dNb, and chill out. Many of the tracks on this album are intended to literally sweep the listener off of their feet, and the entire album goes together seamlessly, so that the listener experiences one fantastic climax after another, finally arriving at “A God of Earth” which is, in its entirety, an enormous climax with climaxes within. Terminal Expanse, White Car So Bright, Road to Nightly, Garden Outline, Sea Flake, and Swing Into Overdrive are only a few of the songs frequently spoken of by listeners of Ataraxis.